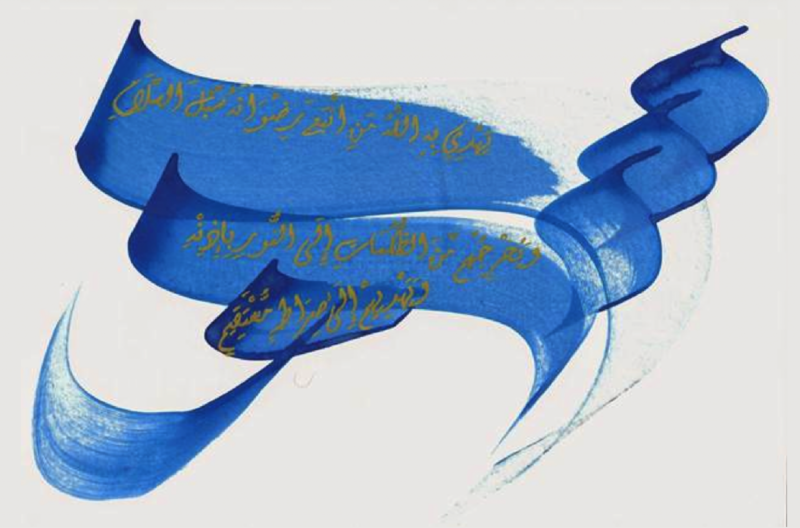 Islamic calligraphy is a striking coloration between Arabic handwriting and calligraphy. The development of this exquisite section of art is strongly tied with the Holy Quran. Moreover, Islamic calligraphy includes Ottoman, Persian as well as Arabic calligraphy as they are Muslim states. The qalam, meaning pen, is the traditional instrument used to write with. This pen is made out of dried reed and/ or bamboo. Nashk, Diwani, Thuluth, Ruq’ah and Nastal’iq are the different cursive styles that are frequently used when engaging in practicing this beautiful way of writing. My calligraphy consists of a verse that indicates peace and unity. My verse briefly explains that we should unite as God told us and not separate from each other. Therefore, this resembles the strength we have when we gather as one as mentioned in the verse. Drawing calligraphy is not as sophisticated as it might seem. We simply start by taping two sharpened pencils together to create a 2D effect. Then we use a calligraphy pen to outline the writings that have been previously done with a pencil. When drawing calligraphy, the writing should be done with moderate speed to create the effect of swift characters. Furthermore, we begin by smoothing out the edges and perfect the shape of the characters. Calligraphy is usually written in sophisticated ways, which makes the appearance look more exquisite. The message behind the verse is to unite and not separate. Although the verse is quite short, it creates a book of meanings due to how important the aspect is and how much we should stress on this subject. Unity is something that we all need since we live in a world that has several troubles due to lack of unity. Most of our troubles that we face everyday in our lives is results of us separating and not working together as one. With that being said we can relate this to our world problems that happen. If we had unity, we would not have had discrimination problems, these problems will lead to bigger problems that cause major chaos. Let us imagine a world that has one country. It would be amazing if we live in a world that consists of a country with no borders and no troubles. It would also be outstanding to live in this world with no authority over others. Its better if we all work as one and not have someone to control us and lead us to unwanted outcomes and paths. In that sense, we hope that one day we can unite and work as one. Many artists have inspired me to give calligraphy a try, one calligrapher would be Khaleelullah Chemand. Khaleelullah has created many logos in calligraphy form. He has made over 1,000 different and unique logos in calligraphy; each one has been perfected in a beautiful way and made in a way to catch the attention of the viewer. Another person who inspired me is my father himself because he had a long history with drawing calligraphy. He taught me how to create my own calligraphy and taught me how to draw the characters in a swift way. My father kept practicing calligraphy and has now hung over 3 arts in different places in our house. He inspired me to try this art and made me enjoy the act of drawing calligraphy art. Last but not least, our teacher Pamela Chrabieh reminded us of the beauty behind calligraphy art. We were first taught how to draw calligraphy in the simplest form by filling in boxes to form a word in calligraphic form. Then, we improve our skills by drawing calligraphy in a free writing way, which makes your calligraphy skills better. After a couple of training sessions, our calligraphy skills will become better until we can finally reach a state where we can write and perfect the art of calligraphy. Now, I will talk briefly about my self and how I began to like calligraphy. I’m a 20-year-old student in the University of Dubai. 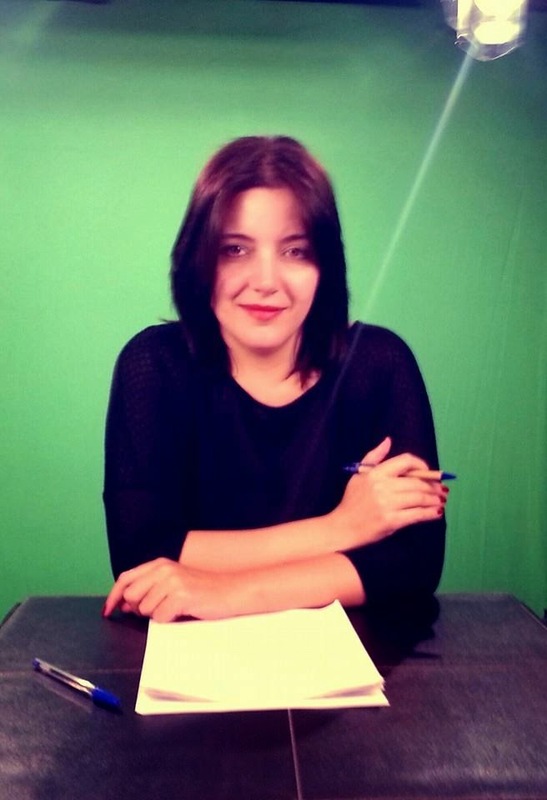 I am currently studying management in the business field. The middle eastern studies course was a required for me. However, I am very glad that I had the chance to take this course due to its high amount of information and the knowledge it gave to me. I was taught how to perform a calligraphy art in this course. Recently I have found interest in this subject, I began with researching the topic and learning more about calligraphic art and began to realize how beautiful it is. In conclusion, we can finally state that calligraphy is an amazing form of art and that it appeals better to the eye than normal handwriting. I certainly wish to further develop may calligraphy skills to become a professional with the level of my fathers experience. 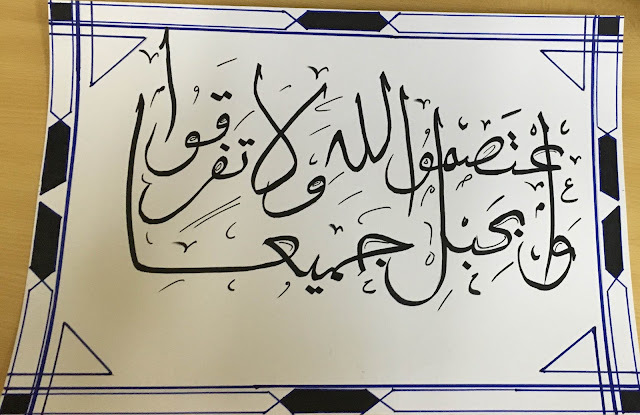 One day I am sure that I will be able to create amazing art with the help of the calligraphy skills that I have gained over the time of learning in my Middle Eastern studies course and throughout my lifetime in the university. I hope I inspired anyone with the calligraphy that I have drawn. Also, I hope I proved to some that calligraphy is not as difficult as it might seem in hopes of making people give it a try to see how amazing calligraphy is.